What makes someone think they are psychic? In many cases it is probably because someone else (often a psychic themselves) told them so. So how can you tell if you are psychic? There are lots of other similar factors (such as having a strong interest in the paranormal) and experiences that are also considered indicators of being psychic. In addition, people who consult psychics may be told by someone that they might be psychic, even without the 'symptoms' listed above. No doubt, many people will argue with such a definition, particularly concerning its vagueness. However, when you have to summarise such things as telepathy, clairsentience, psychometry etc, you inevitably end up with a rather odd definition. Let's analyse the definition to see why it makes sense. Firstly, it assumes no particular mechanism (like a sixth sense or spirit communication). Psychics may claim such mechanisms but there is no absolute way of knowing precisely where such information originates. All we can really do is test the validity of such information. Note that the definition does not say 'correct' or 'accurate' information. As anyone who has had a reading with a medium will know, much of what psychics tell us can, in fact, be wrong. However, we often forget those bits because we are so impressed with the remainder that is correct. Secondly, the 'consciously aware' bit assumes that they are not doing anything fraudulent, however it does not rule out cryptomnesia. Somebody can be 'unconsciously' aware of a fact! Cryptomnesia is remembering things you had consciously forgotten (known in neuroscience as 'latent memory'). Research into memory shows that we forget most of our experiences quite soon after the event. However, we retain 'hidden' (or latent) memories for long periods and they can be retrieved by association (thinking about something associated with the memory) or by sensory triggers such as certain smells, sights or sounds. Someone may think that they are getting information for the first time, through a sixth sense, when, in fact, they are recalling a memory they didn't realise they had. The way such 'hidden' memories 'pop into their head' can make it feel as if it is coming from outside. We are all subject to cryptomnesia. Sometimes you will watch a TV quiz and 'just know' the right answer to a question, even though you've no idea how you know it. The words in the question may be the trigger to release your latent memory. Cryptomnesia is, of course, a normal means of gaining information, as opposed to paranormal. Our definition does not assume that information is gained paranormally. It is perfectly possible for someone to persuade themselves that they have a sixth sense when they do not (there are recorded cases of this). There are other also possible 'natural' mechanisms for gaining information that, if used unconsciously, might persuade someone that they have paranormal gifts (see below). Cryptomnesia is becoming more of a problem in the twenty-first century. Through the internet, for instance, information on people, places, history and even hauntings, is becoming simply and freely available. A supposed psychic invited to describe their feelings at a haunted location may be remembering something they had earlier read, and then forgotten, about the history of a building, rather than picking anything up from ghosts. Most, if not all, of what we retain in our long term memories is of emotional importance to us. Psychics deal with highly emotional material when giving readings. Perhaps, for some people who think they are psychic, this emotive content is the key to unlocking their own hidden memories, allowing material to 'pop' into their heads, as if from outside. In the stories of Sherlock Holmes, the eponymous hero is able to deduce things about his clients simply by observing their clothes, their manner, the way the talk and walk and so on. In the case of the fictional detective, he has a conscious gift of insight. Someone may think they are psychic if they have a unconscious gift of insight, that might appear paranormal. They may be particularly sensitive to body language, notice small details about places or objects, all of which may tell them things about a person or situation that others miss. It is, indeed, an impressive gift, it just isn't paranormal! Such an 'unconsciously insightful' person may notice empathically what someone's mood is, even if they are a complete stranger. They might even pick someone from a crowd by their mood, using body language. Similarly, they might gain impressions from a room, its decoration, furniture, layout and so on, that could tell them something about its history and current and former inhabitants (which could be relevant in haunting cases). All of this would be unconscious, giving rise to the idea that was obtained by a sixth sense. Such people might even have a rare condition called mirror touch synaesthesia. Some people (around 2% of the population) are 'super-recognizers' - they can recognize faces they may have seen just once, briefly, years before. Super-recognizers can also remember other personal details about people they've only met briefly. This is not a psychic ability, just a rare normal one. Some psychics report knowing things (which turn out to be correct) about people they cannot recall meeting before. They may, in fact, be super-recognizers, rather than psychic, and DID meet someone before but do not consciously recall it. Our brains process visual information in parallel. 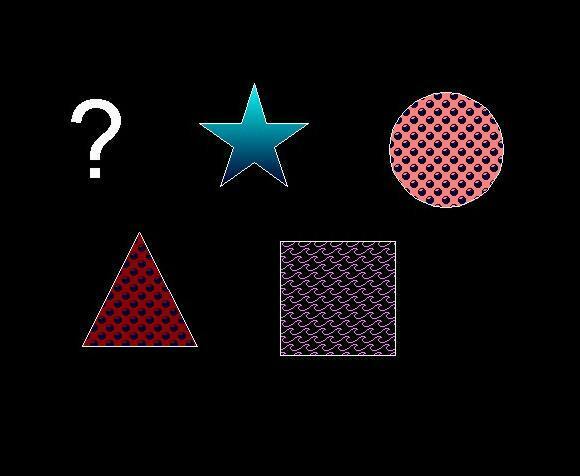 So one area of the brain determines the colour of an object, another its texture, another its shape and so on. These different aspects are only united into a single visual object when they enter our consciousness and we 'see' them in the widescreen view in our heads that we call vision. Sometimes, however, we do not 'see' objects at all, consciously, but nevertheless they are in the unconscious parts of our brain and may effect future thinking. Such subliminal recognition can occur if we only see something for a brief interval, perhaps while scanning a scene, or in poor lighting conditions (such conditions can also give rise to misperception) . So we may be aware of much more about a scene than we consciously realise. This may give rise to a feeling of 'just knowing' something that we've never consciously been aware of, as if from a sixth sense. Cold reading is a technique used to obtain information from people in such a way that they are not aware it is being extracted. It is used primarily by stage magicians as a trick. It is also possible that some people may develop its techniques, without being consciously aware of it, if they are convinced they are psychic. Cold reading methods overlaps with 'unconscious insight' in that clues from a person's dress, appearance, body language etc may be used. However, cold reading is primarily about obtaining information through conversing with people. In cold reading, it is usual to start with vague statements that could apply to many people. By watching or hearing the subject's reaction, the cold reader can home in on things that the subject accepts as accurate. Essentially, the cold reader 'homes in' by discarding possibilities that are rejected, either verbally or through body language, by the subject, leaving only the true material. If the subject believes the cold reader has psychic abilities, they may unwittingly assist in the process by providing additional clues. If a cold reader is convinced of their psychic abilities, they may not be aware that they are using cold reading techniques. Guessing answers to examinations rarely gets people a pass. With multiple choice questions, for instance, there may be 5 possible answers to each question. So, by random guessing you'd expect to get 20% right. You might do better than chance if your guesses were informed, even without having a detailed knowledge of the subject being examined. Multiple choice exams try to reduce this possibility by including similar possible answers. Suppose, however, you were giving an apparently 'psychic' reading to someone using only guesswork. If your guesses were guided by hints from cryptomnesia, unconscious insight and unconscious cold reading, it could tip the scales heavily in your favour. If your client wanted to believe the reading was psychic, the results could appear very impressive indeed. To believe you are a psychic, you will, of course, believe in the paranormal. This makes it much easier to accept that what may, in fact, be the result of unconscious insight, cryptomnesia and so on, is paranormal. Once having declared to the world that you are psychic, psychologically it may be difficult to back down even if you start to doubt your abilities. The attitude of any clients or subjects that you may 'read' is important. Believers are more likely to give you the benefit of the doubt, more likely to feedback helpful information to you and less likely to remember all the stuff you got wrong. If you find that it is much easier to give readings to a believer than a skeptic, this may be why. If you were truly using some paranormal sixth sense, there is no obvious reason why it should not work as easily on a skeptic as a believer (though, obviously, we cannot say for certain as we don't know how such a thing might work). Many people report seeing a ghost once or twice in their life. However, someone seeing many ghosts may well think they are psychic. Most ghost reports are probably the result of misperception. This is where an object, like a poorly seen tree on a dark night, is unconsciously substituted by something else, like a human figure, by our own brains. It is important to realise that such visual substitutions happen completely unconsciously and that they look utterly real (because they originate in our own memory). So the witness sees an apparently real human figure, often with details like clothes, facial expression and so on. In essence it is a REAL experience that simply doesn't correspond to the physical object being seen. Misperception is common but most people don't notice it most of the time. Anyone noticing such misperceptions regularly would probably conclude that they must be psychic. They can, after all, see a full human figure in great detail while someone standing next to them sees only a tree. So a pronounced tendency to notice misperceptions would make someone believe they were psychic. Another common reason for people to apparently see ghosts are near-sleep experiences. These are strange episodes that occur at the point of falling asleep, or waking up, when dreams can intrude into normal perception. Most people will have one or two of these during their lifetime but some people may get a lot more, possibly giving them the idea they are psychic. A few people experience brief dream states during microsleep episodes - microsleep with REM - MWR. This is a type of hypnogogia and may be indicative of a sleep disorder. Either way, it could produce paranormal reports even though the witness appears, and believes themselves to be, fully awake and alert. One witness reports both 'normal' microsleep episodes (without REM) and MWRs. The latter often happen when reading, watching TV or doing something not requiring active participation, such as watching scenery on a journey. Usually, they go 'somewhere else' ie. into a dream state located somewhere completely different from their actual location. This could explain some alien abduction experiences where people report being yanked out of their normal life and taken somewhere else, albeit briefly. Alternatively, some MWR episodes involve a 'continuation' of the real place where the witness actually is but with something happening that does not occur in reality (see here for an example). This could explain some ghost experiences if the witness sees a human figure, for instance, against a real background. As soon as the witness comes out of the MWR, the figure, or anything else produced by the REM state, will vanish, reinforcing the impression it is paranormal. These latter MWRs feel completely real at the time. In another variation, people experiencing MWR may hear other people's voices, even though no one is actually talking. One witness reported that phrases are heard which sound like snatches of overheard conversations that are neither directed to the listener, or anything they were thinking about. Though these words are presumably derived from the listener's own memory, the way they are selected appears near random. As a result the voices give the impression that they originate with other, unseen, people. It would be easy to interpret such hypnagogic experiences as spirit voices and for the listener to believe themselves psychic. It should be emphasized that MWRs are rare but, nevertheless, they could explain some brief but extraordinary experiences that happen when a witness is apparently wide awake. However, another point is that people with MWRs may realise they have had one when they wake up, in which case they may not interpret their experience as paranormal. Not everyone who thinks they are psychic starts doing public readings! However, some may offer their 'services' for friends and acquaintances. Here another effect may help in reinforcing the idea that they are psychic - unconscious audience participation! Many people who get readings, who often believe strongly in psychic abilities, will unconsciously help the the psychic by 'filling in the gaps' with extra information. So, if the psychic makes a vague guess, it may strike a chord with someone in their audience. And the participant may then supply details previously unknown to the psychic. This can allow the psychic to make more targeted informed guesses. Between them, the psychic and helpful participant can together home in on startlingly accurate information. Most of us get a random thought, as if from nowhere, from time to time. It can feel as if it has come from outside - maybe from a spirit or telepathy. However, it just a result of the way the normal way that our brains work, on the edge of chaos in a state of 'self-organized criticality'. These thoughts literally appear at random, from the unconscious parts of our brain. There is no evidence that they originate outside it, even if it feels like it. We humans are good at seeing patterns in data, whether it's visual, oral, speech, numerical, nature, etc. It is a key part of the learning process. Naturally, as with most things, some people are better at it than others. Some people have this ability to such a degree that they may sometimes see patterns where none exists. This may take the form of seeing 'faces' or 'human figures' in random shapes in pictures. Such a pronounced ability to see patterns may make people more likely to misperceive objects as ghosts or hear voices in ambient sounds. If someone regularly sees ghosts they are highly likely to believe they are psychic. However, it is possible that they are good at misperceiving rather than being sensitive to the paranormal. Many psychics report having had an initial weird experience, like seeing a ghost for instance, that made them aware they might be psychic. From then onwards they noticed many other odd things, like those in the list at the top of this article. It is possible that this initial, often striking, incident was not paranormal at all. Misperception is responsible for many apparently paranormal incidents, for instance. However the incident was caused, it may 'sensitise' someone to the idea of the paranormal, having perhaps taken little interest in the subject beforehand. Some scientists believe that human intelligence is based on our building unconscious 'models' of reality, from personal observation, in our brains. Thus, as a child, we do not need anyone to tell us that an object released above the ground will fall straight downwards. Such 'models' in our brain allow us to return a fast-moving tennis ball, despite not being able to react in time, because we unconsciously predict where it ought to go, given its observed trajectory. If someone becomes convinced that they've seen a ghost, even though it was really a poorly-seen tree, they may develop a 'model' in their brain such that every subsequent similar experience is interpreted as a ghost. This may explain how we become 'sensitised' to apparent psychic phenomena and experience them frequently. Once aware of the possibility of the paranormal, some people will interpret many small incidents, previously unnoticed or dismissed as natural, as psychic. For instance, a slight knock from a wall may be seen as a 'spirit' announcing its presence. In reality, the 'knock' may be caused by slight expansion in a pipe due to central heating switching on. There are many such noises found in any building but we tend not to notice them normally (see New House Effect). These sort of psychic interpretations, of what may be naturally-caused incidents, can tend to reinforce the idea that someone hearing them is psychic when, in fact, they are not. From the above, it is easy to see how someone might convince themselves that they have genuine psychic abilities when, in fact, they were just insightful. With such self-belief, it is also easier to convince others of their gifts too. This does not mean that there is no extra-sensory perception. What it does mean, however, is that to test such abilities we need to remove all these possible ways for information to 'leak' to the psychic by normal means. Otherwise we can never be sure if they are genuinely using a sixth sense or just unconsciously using the usual five. If someone thinks they are psychic but are not, it should be possible to tell. In essence, if the information is being passed by normal means as each 'natural paths' for information is successively closed, so any apparent 'psychic ability' will diminish. So, someone not sure if they are psychic, could try giving readings face to face with a subject in their own home (surrounded by their possessions) followed by a similar session but at a neutral venue. Then they could try again with the subject unseen, perhaps over the internet by exchange of email, so that body language is eliminated. Then they do readings without any contact at all, other than a request from someone by letter or email. If the readings become less and less accurate, as the possibility of any natural feedback is reduced, it may indicate that the psychic is unconsciously using natural techniques, at least to some extent. Finally, the psychic could try to see if they can beat random fixed odds, like in Xener cards, to a significant degree with no human subject involved at all. Why use random fixed odds? The random element means that no information can leak to the subject. The fixed odds (eg. 1 in 5 for Xener cards) means we can work out whether the subject is exceeding random chance to a significant degree. In most situations where psychics typically operate, such as giving readings, working out the odds against random luck is either very difficult or practically impossible. What are the odds of guessing someone owns a blue car, for instance? If you can guess randomly presented Xener cards consistently at better than 1 in 5 then you may be truly psychic. Unfortunately, running long tests with things like Xener cards is boring. Some people think this may affect the ability of real psychics to perform. This may be unavoidable, however, because the more you make the task like those typically encountered by psychics in the real world, the harder it becomes to calculate odds and stop information leaks - see here. There are various tests to see whether someone has these personal abilities. However, that goes beyond the purpose of this current article. Some psychics see a coloured glow around people and objects that they call an aura. They say they can tell things about people from the colour and shape of their aura. A common explanation put forward to explain people seeing auras is synaesthesia. This happens when two or more senses appear mixed up so that you can 'see' sounds or view numbers as coloured. Interestingly, synaesthesia is associated with enhanced memory. Thus we have someone who sees colours that are not present and has unusually well-developed memory abilities (see Memory above). Anyone with this combination of unusual mental abilities might easily consider themselves psychic. A tiny number of people suffer from a condition known as temporal lobe epilepsy (TLE). This can give people vivid hallucinatory experiences that strongly resemble those described by psychics. There is an in-depth article on it, including a first hand account, here. It is possible that someone with TLE might think they are psychic. They are likely, however, to have a range of symptoms other than apparent psychic experiences. Anyone who feels they might have TLE should consult a medical practitioner. Through genetics and environment (nurture and nature) we all have different mental attributes. Is it possible that some psychics, or rather people who think they are psychic (see above), may represent a particular group within that spectrum of mental abilities? To illustrate this, let's start with autism (this is not a theory that psychics are autistic - quite the opposite, in fact!). Autism is a brain condition characterised by difficulties communicating and forming social bonds. A small proportion of people with autism, known as savants, display extraordinary abilities with numbers and / or language and / or memory. Some can do amazing feats of mental arithmetic. Such people attribute more to numbers or words than mere digits or letters. They might see a number as 'lumpy' or 'round' or see it as part of a 'web' with other numbers (see Daniel Tammet's interview, for instance ). Such webs or other properties automatically reveal how the number relates to others such as those that, when multiplied together, produce it. Knowing such properties makes feats of mental arithmetic comparatively simple for savants. Let's suppose there is another end to the 'mental spectrum' from autism - people with highly developed communication abilities and social skills. Since such abilities are seen as positive attributes, they would not be classed as any kind of 'disorder'. And suppose such inherent skills manifest as being highly empathic - able to sense others moods, even much of their biography, simply from seeing their facial expression, clothes, movement, speech, body language and so on. As with savants, this empathic ability would work very quickly and without great effort. Such a person might be able to tell a number of important facts about someone as soon they walk into a room. They might also be able to tell a lot about someone not physically present from a room they live in - their possessions, how they are arranged, etc. In another parallel with savants, the kind of psychic proposed might see their specialist subject - people - as having certain properties. But whereas a savant might see a number as 'round', a psychic might see a person as accompanied by another person - a 'spirit'! It seems natural that if a psychic sees the world in terms of humans and their relationships, the attributes they might 'see' would be another person. Just as a savant's number isn't really round, a 'spirit' seen or heard by a psychic might not by objectively present, just a way the psychic's brain represents a person's attributes. In this way, a psychic might feel they are getting information about someone from a 'spirit'. In reality, they would be picking up information about the person through many unconscious cues. We all pick up these cues, through body language, but psychics may take this ability to another level. This IS only a speculative theory. There certainly seems to be no evidence that psychics have any mental disorder but clearly they are different to most of us. However, there is also little evidence from lab parapsychology that psychics use extra-sensory perception either. This current theory suggests some new lines of research into psychics, away from the previous stuff which hasn't lead anywhere interesting so far.